Nick Carraway lives in a 1920s world outside of reality, a world of endless parties and flitting affairs, a world of the extremely rich…the richest of which is Jay Gatsby, a legendary party host and a mystery. The Great Gatsby is a short read, about 200 pages, but there’s a lot in there. At times, Fitzgerald’s prose is so thick with imagery that you have to cut it with a machete and read a paragraph again. Most of the time, this worked brilliantly, but there were times when the image he was going for was lost. Unsurprisingly, some of the novel is dated. As I was reading about one summer of 1925, I couldn’t help but imagine how many of these rich and very spoilt people wold be bankrupt by the end of the depression and contrast it with John Steinbeck’s writing about the poor. However, the central theme of Gatsby – a man seeking his lost love – is timeless. There’s a chapter which is nothing more than a list of names of ‘famous’ people in 1925 who attended Gatsby’s parties, most of which I skipped. I assume they were famous and not fictional; I only recognised one name. Such is transitory fame, another theme of the book. 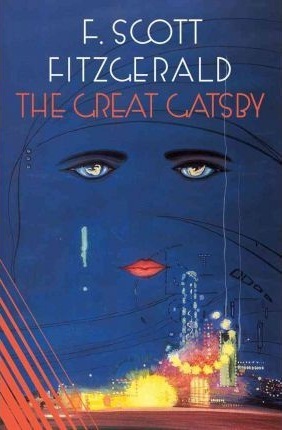 Gatsby’s life is a forgery (even his name, even the title of the book), and he’s shallow and ephemeral, but he’s no shallower than the people around him. His only wish – impossible – is to have the woman back he loved (For a whole month!) five years before. All the parties, all the drive to make money, all of it was for that one purpose. Gatsby is a fantasist, chasing a dream lover he can’t have, and one he probably never had anyway. Who can’t relate to that? Despite all his wealth, we come to pity him – the sadness of a man who can only live in the past. Gatsby dies at the end and no one – none of the famous, none of the rich who couldn’t get enough of him when he was alive – come to his funeral. He lies forgotten and abandoned, his only mourners Nick and Gatsby’s father. The writing style is an immensely powerful engine that drives the story forward. Fitzgerald describes the world in terms I’ve not seen out of synaesthesia (experiencing the world through alternate senses: smelling a musical note, listening to a flower), and the different way of world building is mesmerising. The world is the best thing in the book actually; compared to that, the characters are thin and hollow – which was probably the point. This entry was posted in Reviews and tagged F Scott Fitzgerald, Great Gatsby, Reviews, tony talbot. Bookmark the permalink.